What is Bootstrap and Why should learn Every Web Designer? If you are interested in Learn Web design then you must have heard the name of Bootstrap. This is a very important tool for any web designer, which can be used in a very easy and fast responsive website design. Today, in this article, you will know what is Bootstrap and why you should use it to create a website after all that are the benefits. Twitter company’s employee Mark Otto and Jacob released Bootstrap in August 2011 as an open source product on GitHub. Bootstrap was created No.1 project on GitHub in June 2014. Initially, he named it Twitter Blueprint because he wanted to use it as an internal tool for Twitter but later he released it as an open source project on 19th August 2011 in the name of Bootstrap on GitHub so that Others can also use it and take advantage of it. By the way, there are many such frameworks, but Bootstrap is the most popular and most widely used framework for them. How does the Bootstrap work? When a web designer designs the website from Bootstrap, it does not need to be coding too much because there is already much code given in the bootstrap that is reused only on the HTML page. There are several predefined classes of CSS in the Bootstrap, which can be easily used by calling on your page. Bootstrap works on a grid system that divides the whole page into equal columns and rows. Different CSS classes have been created for all rows and columns which can be used on your web page as per the need. Easy to Use – Anybody who has a basic knowledge of HTML and CSS can easily use Bootstrap. After learning from my experience, using the Bootstrap after having basic knowledge of HTML and CSS is a children’s game. Time-saving: This is the biggest advantage of Bootstrap that using it increases the development speed and works in a very short time. On the contrary, if you want to create a responsive design without bootstrap, you have enough time May seem. 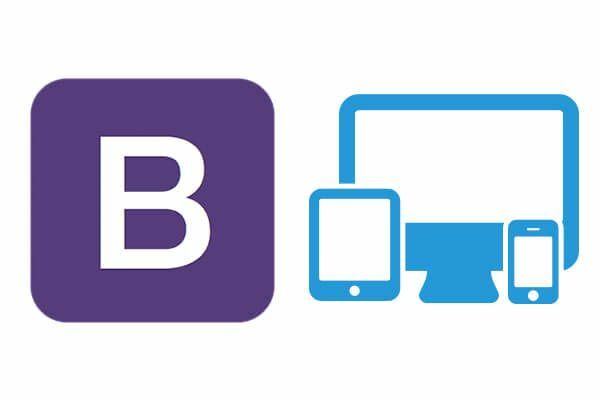 Responsive Design: You can easily create responsive design through Bootstrap. If your website is responsive then it adjusts itself according to the screen size of any platform or device like desktop, laptop, mobile etc. Customizable – If you want to change the built-in style of Bootstrap, you will need to overwrite the bootstrap code by writing your CSS code. Cross Browser Compatible: Bootstrap is designed in such a way that our webpage will look alike in almost all modern browsers such as Firefox, Chrome, Internet Explorer, Opera etc. Open source: The best thing about it is that you can use it for free. Tips: if you are looking institute for advanced Web Design Training we are w3webschool Kolkata most trusted Web Designing center Call For demo Class before admission.